When the weather begins to warm up outside, naturally your thoughts turn from heating to air conditioning. For most of us, A/C and summertime go hand in hand, which is why so few homeowners think to look past their air conditioner to other cooling aids that can cut costs and improve summer health. Here at Clean Air Solutions Hamilton, however, we spend our days studying up on how to get more cool for less cash in ways that are safer and healthier for you and your family. Since summer is officially here, we thought now would be a great time to talk about home ventilation and how the right ventilation can make a measurable impact on your budget and health. In your home, ventilation occurs when old, stale indoor air is pushed out of your home and new, fresh air is pulled in. The age of your home can play a big role in whether existing ventilation systems are performing adequately. Older homes were built to be less airtight, which means they tend to have more areas throughout the home where air can escape or enter—making heating and cooling less efficient and more expensive. Conversely, new homes are built to be completely airtight, which means there is little chance for any indoor air to escape outside or vice versa. These helpful in-home ventilation add-ons can really improve your home's air exchange. Commonly found in the kitchen (over the stove) and in the bathroom (in the ceiling), exhaust fans are responsible for moving odours, moisture, and stale air out of these rooms. These fans are installed to vent volatile organic compounds, smoke, gases, fumes, and debris outside and to prevent back-drafting of dangerous gases into your home. 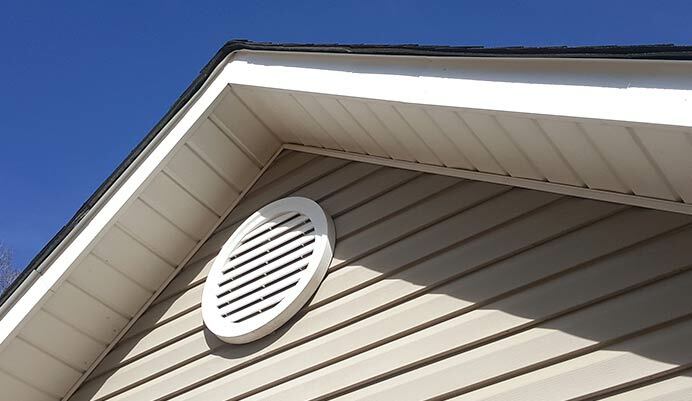 These vents are designed to release excess heat and humidity to the outside to keep your attic from developing mould and mildew or becoming a fire hazard. Called an HRV (ERV) for short, a heat recovery ventilator addresses two big issues for home ventilation: freshness and humidity. The ventilator will ensure that stale outgoing and fresh incoming air do not mix, while also expelling excess humidity. So how can you tell when your home’s existing ventilation system is not performing well? 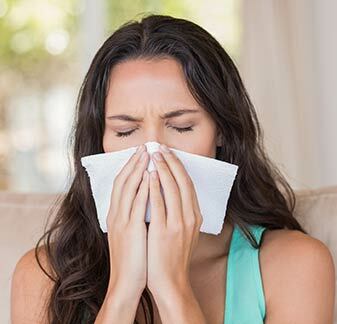 You and your family are experiencing more bouts with allergies, asthma, and/or respiratory illness. You feel more mentally foggy, groggy, or tired at home than when you are out of the home. The air inside your home has a strange, musty, stale, or unpleasant odour. You see signs of mould or mildew in your bathroom, basement, kitchen, attic, or elsewhere. Your utility bills are climbing steadily and you aren’t using any more energy. It feels just as humid indoors as it does outdoors. Whenever you cook, paint your nails, or clean, it takes forever for the smell to dissipate. Each of these signs can indicate the air inside your home is stale, oxygen-poor, too humid, or laden with potential pollutants. If one or more of these signs applies to your home, you could potentially benefit from the installation of additional ventilation aids. Good Ventilation Doesn’t Have to Cost a Lot! One reason many homeowners put off addressing under-performing household ventilation is concern about cost. But installing effective ventilation aids doesn’t have to cost a lot to make a measurable impact. Often, clients tell us they begin recouping their investment right away in lower energy bills, fewer doctor visits, and the disappearance of mould and mildew. An easy way to make a big, lasting, and economical change in your home’s indoor air quality and ventilation is to add a heat recovery ventilator to your existing HVAC system. These compact and efficient systems not only remove stale, oxygen-poor air and ensure a steady supply of fresh, oxygen-rich air, but they also remove excess moisture that could build up and cause mould or mildew. Best of all, they use the existing heat in the air to temperature-balance your air so your HVAC system uses less energy overall to function. June 30, 2017, get a 20 percent discount on any indoor air quality equipment we sell just by filling out this easy online form! Another easy way to measurably improve your home’s indoor air quality in just one day is to schedule a professional indoor air duct cleaning. During your cleaning, we will vacuum out every speck of dust, debris, mould, or mildew present in your existing ductwork. Then we will sanitize and deodorize your ductwork. Many happy clients tell us they notice the difference immediately—they can smell it in the freshness of the air! June 30, 2017, get $50 off any duct cleaning package just by completing this easy online form! Each week, we consult with clients about the best way to ensure the air in their homes is fresh, pure, well-oxygenated, and safe and healthy for their family. Give us a call at 905-544-2470 to schedule your complimentary indoor air quality consultation!